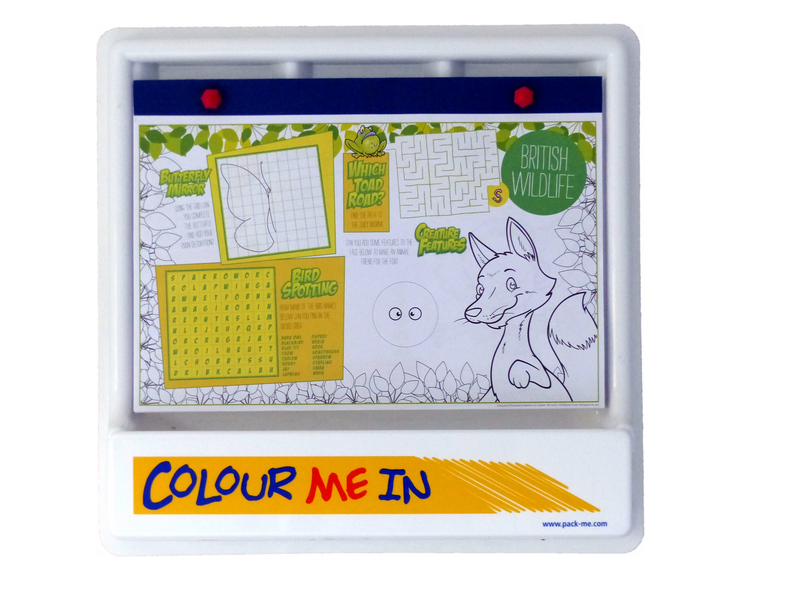 Colour Me In Wall Unit - Activity Packs, Children Activity Packs & Kids Colouring Packs - Packme Ltd.
1 x Wall Unit, 2 x Boxes of 100 crayons mixed colours & Pack of 5 Activity Pads. 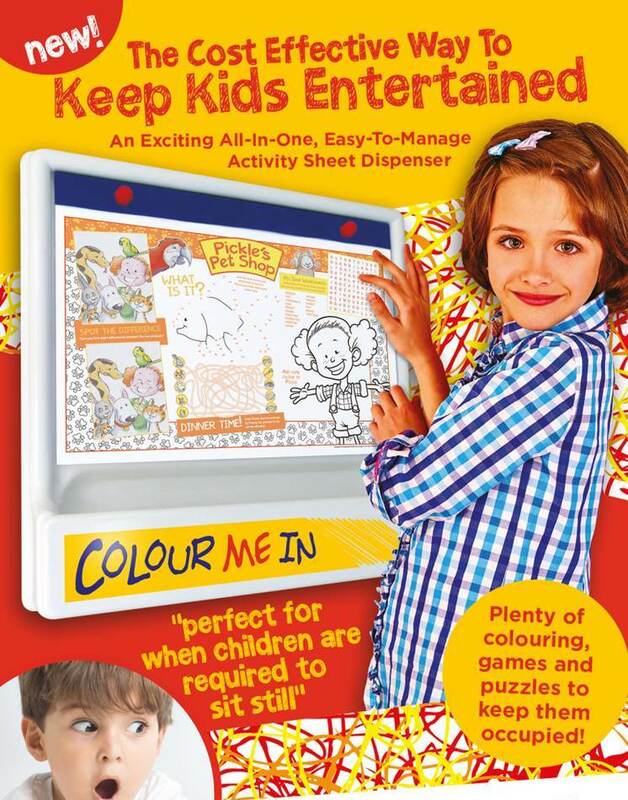 The Colour Me In Wall Unit comes complete with fixings and once wall mounted, children are able to select their activity sheet and crayons from the storage tray. A starter kit is supplied with 1 x wall unit, 2 boxes of 100 wax crayons in assorted colours and a pack of 5 pads. 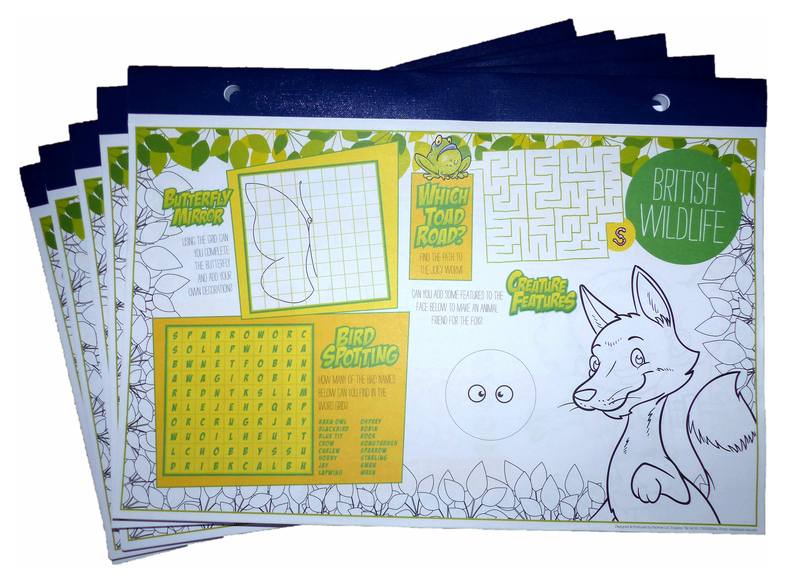 Each pad has 100 sheets and 5 alternating colourful designs with lots of games, puzzles and colouring to complete.